Colors | Curves to restore the necessary contrast and normalise the background to 127 or 128 (whatever the "no bump" value is). I suspect you'll find that that gives too much clumping, so the second approximation would be to replace step 2 with random nudging from a hex grid. Either do this in code or create a hex grid in the GIMP and use Filters | Noise | Spread. 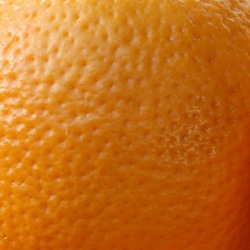 Create a flat plane of orange skin in high definition 3D (ie. a Lot of polygons + an orange colour texture). This link Might help you get the general idea of baking. Not the answer you're looking for? Browse other questions tagged graphics-design normal-mapping or ask your own question. Blinn, Normal maps & Fresnel? Is it possible (and practical) to dynamically create normal maps from graphics in Pixi.js? How to create a normal map for my dice texture? How can I make a beveled edge with bump mapping?